When it comes to restorative dentistry, the experts at Buhite & Buhite, DDS understand that every patient’s case is unique. Restorative dentistry is the process in which dentists perform dental procedures to keep your smile healthy and functional through the use of fillings, bonding, veneers, crowns, bridges, implants, dentures, etc. Restorative dentistry helps to prevent future decay, replace missing teeth or fix broken teeth. As you age, it is completely normal to notice changes in your smile including wear, uneven edges, chips, discoloration or shifting. Over time, teeth change due to the stresses of everyday function. Buhite & Buhite, DDS offers various restorative dentistry techniques and modern devices that can restore your natural teeth beautifully. Today, there is a wide-range of prosthetic devices made available to patients so you’re guaranteed to find the best fit for your specific needs and budget. 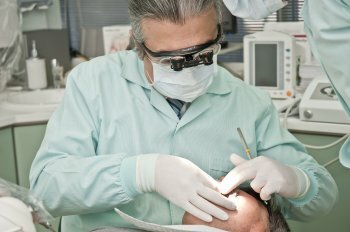 Given your situation, we can use full or partial dentures, bridges, crowns, caps and bonding methods to restore your teeth and get them looking as good as new. Our goal is to create custom-made restorations that will have you feeling and looking like yourself again. 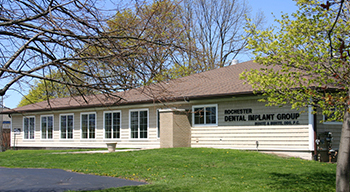 Reinstating your teeth back to their natural, healthy state is done using a series of processes that our doctors have 40-plus years of experience delivering, providing each of our patients with the highest-quality dental care in Rochester. Are you concerned about the appearance, shape or position of your teeth? Call us at (585) 342-1323 to schedule a dental exam or learn more about restorative dentistry here.